Some time ago, people started talking about Milestone Media on a consistent basis. Usually when it has to do with someone trying to do a concept that was either video game related or something to do with a comic with the way that certain comic company handled their characters of cultural descent the arrow will point to the bullseye in the middle of the target….Milestone. When people learned that DC was actually thinking about killing off Green Lantern John Stewart, an outrage began followed by an” I wish Milestone was publishing books again, because the Milestone gang would care about Stewart if they had him” type of sentiment. And then I realized. Even though Milestone had stopped publishing and finally absorbed, if it weren’t for Milestone, no one would have a standard in which to care. Or some safe place to put that thought of that kind of concept. Milestone owning the rights of John Stewart? Well, Milestone Media who was comprised of DWAYNE MCDUFFIE, CHRISTOPHER PRIEST, DENYS COWAN, MICHAEL DAVIS, and DEREK DINGLE was making history creating a haven and a niche that should have always been a part of the history of comics were out performing all who would try to ride the coat-tails of those trying to do the same thing but were amateurs with misguided concepts, to say the least, they were also giving people like myself a venue to sharpen our craft and hold up to the well-established publications that were already on the highway. The great thing is that what we were doing was so needed that people were scrambling to jump in on the action knowing somehow that, in its own way, was the Ponce de Leon of comics publication. And there were those who did whatever it took to keep it from being bigger. Regardless, we did our job. We told the stories, we created the characters, we made the noise…we carved our names in the rock. And now, people are studying from that rock to get what exactly we did to create that indelible mark. And now those fans of comics that actually were around to see what a Milestone Media had to offer… The LUCKY ones… Are in a fit knowing that there are those who attempt the same magic with the same characters and seem to come short. 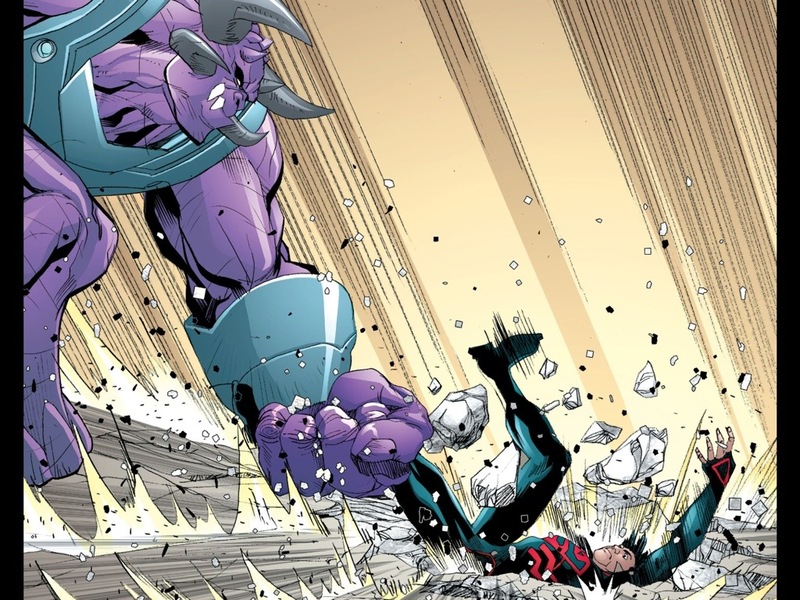 Mostly because they keep trying to do those characters the way comics are done, but not the way Milestone set the tone. We get to talk about all of that this weekend at ECBACC. We and the people in the flyers below are going to talk about their experiences working wi a group of people that had the greats in comics and in Hollywood coming down to see what the hubbub was all about. And walking away with smiles on their faces with Milestone comics in their hands. 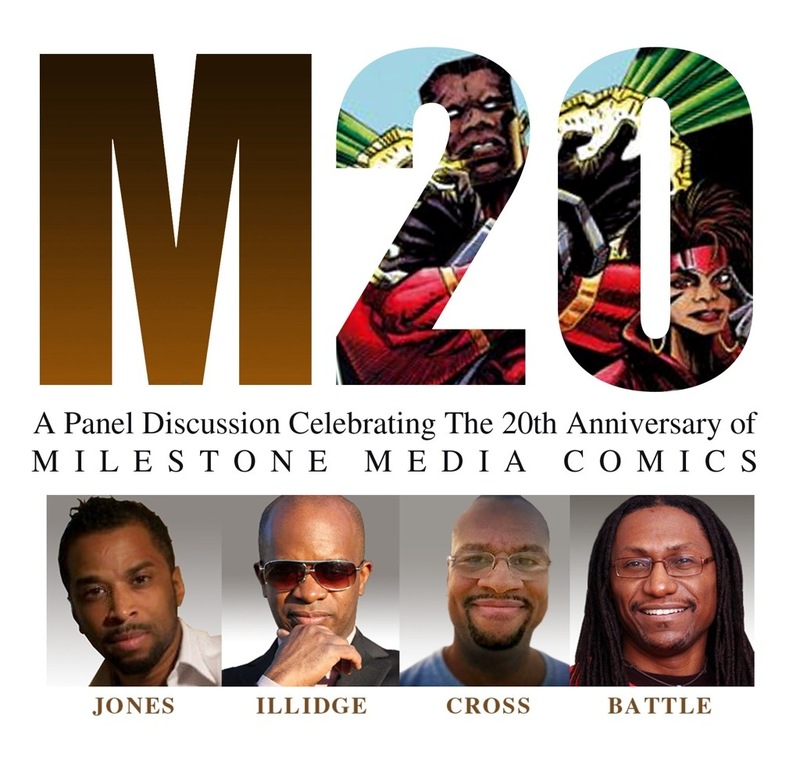 In Philadelphia, we’re going to be reminding everyone why Milestone is and was so special 20 years later and why, more than anything else, we need to keep that miracle and its practices going in our own way with our new ventures. I think the brothers we lost in the journey will be smiling themselves. 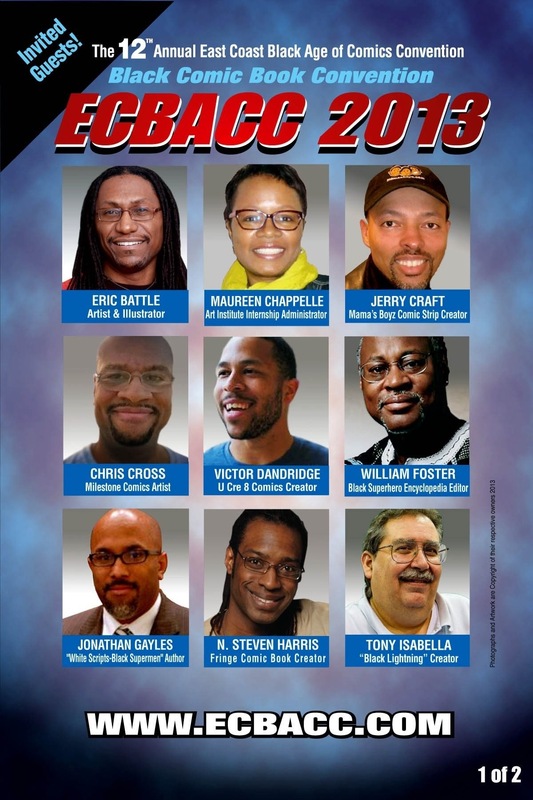 Dwayne McDuffie, Robert Washington III, Maddie Blaustein…. When Valiant announced that they were back in a position to be publishing books again, I think It took some people aback, those who were old enough to remember the first cache of the Valiant model… which was back in the 90’s. Taken aback, but not in a bad way. Back then, I was just getting out of School of Visual arts and I was working near full-time hours at a law firm in upper Manhattan. I decided that I was done with the 9-5 nonsense of the constant political pressures of the land of Esquire and I was going my own way. I had an appointment with the first echelon of Valiant that housed Bob Layton, Jim Shooter, and a ton of then-beginners who are now either high rollers (meaning doing work with animation or movies for “Hollywood”), Marvel/DC veterans, or doing their own thing. Then I discovered Milestone Media. In some weird turn in time, I could have easily been working with the Shooter gang instead of Club McDuffie. Hey, it’s nice to have had options! One of my great regrets though was never getting a chance to jump on any of those books. I kind of see the new Valiant as the Golden State Warriors. The new guys with a lot to prove going up against two big franchises like the Lakers and the Celtics and some really notable teams that make a ton of noise jostling for the third spot. I’ve had many discussions about Valiant’s new splash on the scene and myself and others really think they’re going to be surprising a lot of people soon enough when they’re the set party for that third spot. They just seem to have their stuff together, and they appear to know what they want and what it’s going to take to get there. And they have a possibility to bring in new readers. There’s a newness with all the characters and I think that’s what is needed to rejuvenate the comics market. Hopefully it will inspire others to put their two cents in to start a new renaissance. The cool thing is I now have an opportunity to put my two cents in with Bloodshot #0. I want to take my time with this one and really make it stand out from any other work that I’ve done before. It’s going to be the road to some great work that I’m planning that’s going to set new roads for me. And sometimes I just get tired of my own work, so I have to add new influences to freshen me and my muse up again. And I’ve been hustling to get better for awhile now. So I hope you like what I offer in my splash on Bloodshot. I’ll post that cover as soon as I get the go. 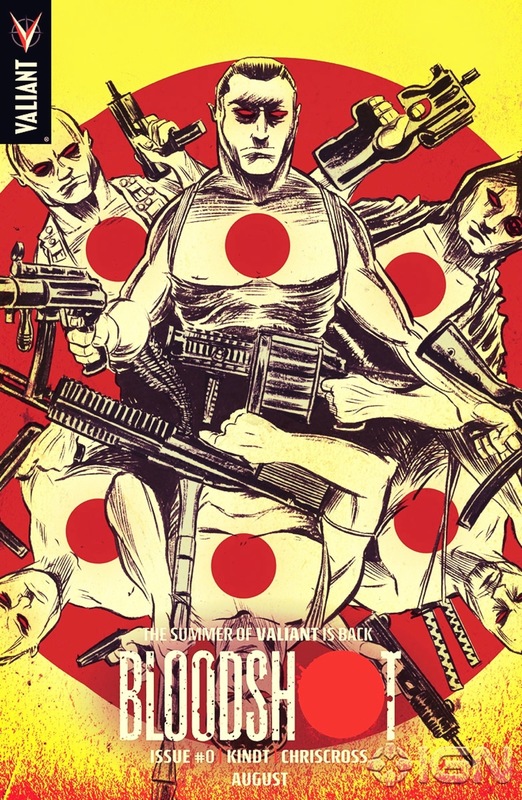 You can check out the link on my mention here and get warmed up for an origin of Bloodshot you may not have read before. I team up with Matt Kindt whose bringing his own style of storytelling to the mix. Hope you like what we put together soon! In the newest issue of Superboy,(#20), I got to help out the editor by doing the last five pages. It was again as crazy a schedule as one could have and I had to throw in 1/4 ChrisCross, and 3/4 rush job. But I never got to draw Superboy in any version in my life…. So you know when asked, I had to jump on it. 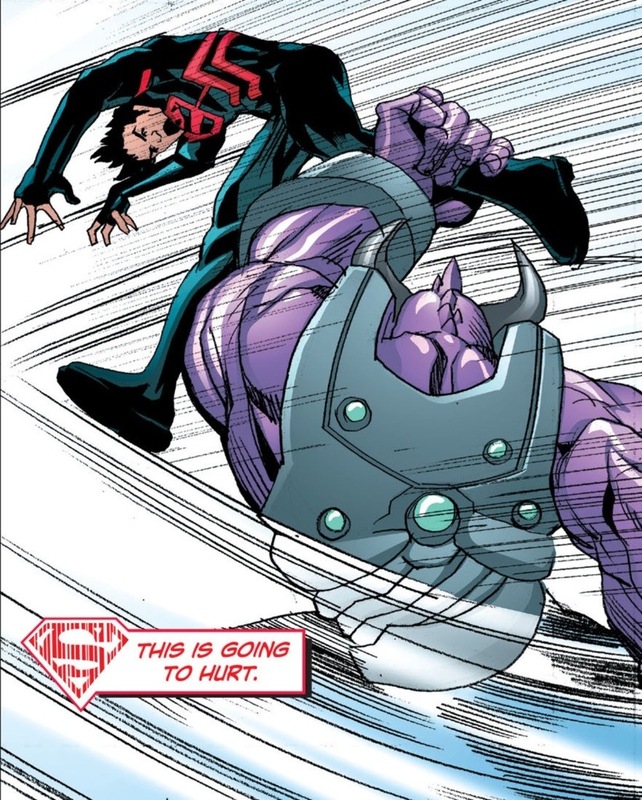 And also you can see I aided and abetted Superboy’s BEATDOWN. Hey, He wins in the end. Hahtchie Kahtchieeeee HAH!, Jive Turkey! !